If you would like to register with the practice you may print off one of the registration forms below, fill it out and bring it in with you on your first visit to the practice. Along with your NHS number, photo ID and proof of address. 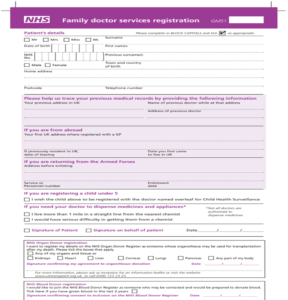 You can obtain your NHS number from your current GP practice, or any recent hospital letters you have.